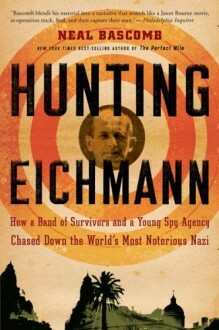 Hunting Eichmann is the first complete narrative of a relentless and harrowing international manhunt. When the Allies stormed Berlin in the last days of the Third Reich, Adolf Eichmann shed his SS uniform and vanished. Following his escape from two American POW camps, his retreat into the mountains and out of Europe, and his path to an anonymous life in Buenos Aires, his pursuers are a bulldog West German prosecutor, a blind Argentinean Jew and his beautiful daughter, and a budding, ragtag spy agency called the Mossad, whose operatives have their own scores to settle (and whose rare surveillance photographs are published here for the first time). The capture of Eichmann and the efforts by Israeli agents to secret him out of Argentina to stand trial is the stunning conclusion to this thrilling historical account, told with the kind of pulse-pounding detail that rivals anything you'd find in great spy fiction.